Practical yet funky! 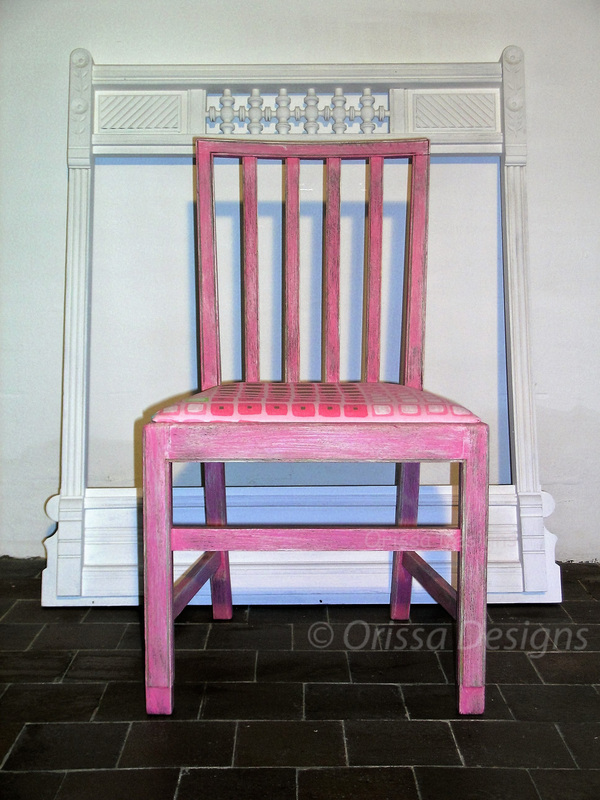 The bright and busy patterns on the seat are a subtle contrast to the soft, distressed pink of the chair itself. This attractive chair would look good in any bedroom or living room. Send us your name and email address and we'll add you to our mailing list. "As well as being stylish, shabby chic furniture is generally hard wearing and is even enhanced by the knocks of family life, an important feature if like me you have boisterous children."